"It's not for everyone, this world of little scats and tiny tracks. But for those who are bold, I'd say get some gloves and a jacket and a hat and go out and explore California." I arrived at Nettle Springs in the afternoon, a perennial water flow many miles up a dry desert canyon, surrounded in steep, unforgiving slopes of pinyon pine, oak, and juniper. I parked in some shade, filled a water bottle, and strolled up the dry, sandy wash above the springs, where tracks were easy to see. I was looking for an animal to follow. A few deer had crossed the wash early in the morning, but I was hoping for a soft-footed animal, which provided greater challenge. Suddenly fresh cougar tracks were beneath me. The tracks belonged to a mature female cat and she crossed the wash and traveled northeast into the manzanita, pines and juniper. After a deep breath to focus and quiet my mind, I began to pursue. The afternoon was fast slipping away, so time was short, and I followed as quickly as my skills allowed. Yet within an hour of starting on the trail, I found myself confused. I looked down at the fresh tracks of a male cougar-had she really been a he? No, for just around the corner I found her trail again-there were two cats, one following the other. But I was wrong again, for I then noticed the trails of at least three different cougars converging among the dense manzanita bushes and winding up and over the folds of the desert canyon. I paused to reassess, kneeling down, and feeling the large pad of a cougar's track-that which shows more clearly in difficult tracking terrain. The mess of tracks could have been a family group. Or perhaps a kill was nearby. That's what I hoped for- a fresh kill-something I could photograph. At the time I knew it didn't really make sense-a mature male and female at the site of a kill, unless one were stealing from the other, but the sun was too low in the sky to give anything much thought, and the trailing demanded all of my attention. I began to jog along the cougars' trails, circling in on myself and jumping from trail to trail, all the while peering into every shadowy bush and dense growth for the dark telltale mound of a cougar's cache. Several times I was fooled by the large nests of woodrats. As fast as I tracked, the sun moved quicker, and soon it was turning orange above the mountains to the west. I followed numerous trails, looped in on myself countless times and had turned up nothing. I'd not even revealed where any of the cougars had departed the confusion of converging trails. But with sunlight at a premium, I decided to backtrack the female up the wash to see if a piece of the larger story lie behind her. It did. A male lion had been following her down the wash and had cut into the bush further up the drainage, where I hadn't initially seen his tracks. I continued to follow her back trail. As the sun moved below the mountain range to the west and the entire canyon was bathed in rosy shadows, I jogged on, reluctant to leave such a beautiful trail. Higher and higher I climbed out of the canyon but the light was fading fast. Eventually the light was so low, I moved at a crawl and walked in a bent crouch so that my eyes were closer to the ground. I kept losing the trail and having to circle back to find where she had turned. Finally I stood on a steep slope and appraised the areas that I had covered in the valley below and to the north where the cats had spiraled in on themselves. The temperatures were dropping as I began my trip back to camp. By the time I reached the wash, it was full dark and stars were twinkling overhead. The simple notes of poorwills sounded in the distance, but otherwise the night was eerily quiet, and my footsteps in the sandy, gravelly wash seemed abrasive and loud. Niggling nervousness began to work its way into my mind, but I threw it off as the usual fears associated with being alone in the wilderness surrounded by fresh signs of cougars. Crunch, crunch, crunch, my footsteps echoed along the wash and out into the scrub. I moved quickly to fight off the dropping temperatures and to stop from shivering. The nervousness in the back of my mind hadn't resolved itself completely, and furrowed my brow. Then fear seized me like a slap in the face, and my gut twisted and froze. The moon had just crested the canyon's ridges, and its ghostly light filtered through the bushes and trees creating shadows and shapes that suddenly appeared menacing and dark. My mind began to imagine a cougar crouched in every shadow, and I picked up a few good rocks and began to massage my throwing arm to prepare for action in the cold. "Stop it!" I told myself. "Get control of yourself. Its just the willies. Nothing to worry about. Another mile and a half and I'll be safely back at camp." And so I told myself, "You have permission to be afraid if you see her tracks atop your own." Not likely, I thought, convinced I'd beaten my own mind in the game. I walked perhaps fifty yards further before the moon rose high enough to bathe the floor of the wash. Then I saw them. I knelt to study my own tracks made just hours before. Yet there was no denying it: there were the fresh tracks of a female cougar atop my own, and she was tracking me. I stood quickly and looked behind me. I was spooked and nervous. I worked my throwing shoulder and rolled my first rock in my hand. I began to walk quickly down drainage to the safety of my truck. I stopped with regularity to listen for footsteps behind me, and to look for a cougar's form in pursuit. I avoided any area where she could attack from above, winding my way down the shadowy wash which seemed to stretch on for eternity. But I arrived safely back to camp, where I decided to sleep in the bed of my truck. With great relief, I slipped into my sleeping bag, thrilled to have shared an evening with another predator. I awoke sometime later with the certainty that I was being watched. The moon was straight overhead and bright. I sat up and peered into the contrasting landscape of dark shadows and reflected moonlight. Nothing but trees, shrubs, shadows and crisp cool air. The canyon was utterly silent. I coaxed myself back to sleep, but in what seemed an instant, I was wide awake yet again. I gazed out over the edge of my truck bed and beyond the open tailgate at the pines and canyon slopes. Still nothing. Eventually I fell asleep again, and slept through to the first hints of light the next morning. It was cold, but I was eager to head up drainage to discover where the cat had been when we encountered each other in the wash the night before. I layered up and grabbed a water bottle to fill at the spring. But I stopped at the perimeter of my camp, perhaps 10 meters from where I'd slept. There were her tracks, and she was accompanied by two large kittens, perhaps 10-12 months of age. I followed her as she circled my camp, where at intervals she approached where I slept to have another look. She appeared curious. The kittens too, but they never approached as closely as she did. Then she led her kittens down to Nettle Springs for a drink. I continued to follow her as she circled up hill behind the springs and back to where I had slept. She had peered down at me from at high, and then she moved with her family up the hill to the plateau above. It took the remainder of the day to piece the entire story together, after following her tracks in every direction to relay this story: She'd followed my tracks for a half mile up drainage to where we'd met in the dark. No doubt she heard me coming. She moved off to the north side of the drainage, lay sphinx-like in the shadows of a manzanita bush, and watched me as I passed. From there, she worked her way up the hillside, cutting east as she climbed, paralleling the wash below. Soon, she began a more vertical ascent to the north, before dropping into a tiny hidden canyon. It was there she'd left her kittens. Together the three cougars dropped back into the wash and followed my tracks towards my camp for well over a mile. She came into my camp, circling, investigating and then eventually took her kittens to drink. After circling above my camp for another look, they climbed to the mesa above and headed towards Pine Mountain, several miles to the east. It was the direction from which she'd come when followed by the male, so perhaps somewhere near the mountain she'd cached another deer to feed her growing kittens. It is the learned skills of interpreting animal tracks and signs, as well as the skills that allow people to follow the subtle signs of beasts over varied terrain. Tracking is about finding animals. It also enriches our outdoor experiences and allows us a real way to engage with wildlife. I never glimpsed a cougar during my time at Nettle Springs, and I might have overlooked our exchange if it were not for the tracks that betrayed the story. Tracking is many things to many people. 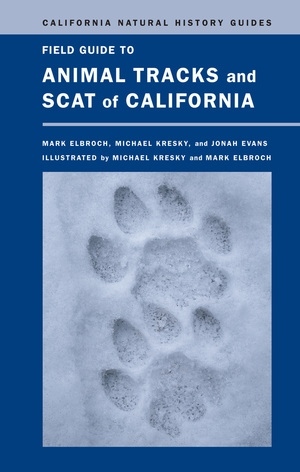 This book is about identifying and interpreting some of the physical signs that animals leave in their wake: their tracks, scats and other signs of scent marking. For those folks also interested in following tracks, refer to Practical Tracking: A Guide to Following Footprints and Finding Animals (Liebenberg et al. 2010) for an introduction to that subject. Enjoy. Wildlife tracking skills are real and can be learned by anyone with patience and persistence. Tracking is a complex skill that requires intelligence and substantial practice to master (Liebenberg 1990, Stander et al. 1997, De Angelo et al. 2010). But realize tracking skills are also but tools to be wielded for some purpose, rather than an end in of themselves; hunting, education, anti-poaching, wildlife monitoring, research and conservation are but some of its varied applications. Tracking skills are field skills essential to field science, and field science is the foundation upon which our understanding of wildlife is built. Thus wildlife tracking is fundamental to both field science and wildlife conservation. And conservation is our weapon against the insatiable appetites of commercialism and destructive expansion, a means of protecting the diversity upon which the health of ecosystems is so dependent. Wildlife tracking does and can continue to contribute much to current and future conservation efforts (i.e., identifying wildlife corridors, monitoring endangered species); the larger the number of people with wildlife tracking skills, the greater potential impact that a strong understanding of natural history and community ecology will have on current conservation efforts, and in our minds, this is intelligent conservation. Science and conservation that relies upon wildlife tracking skills to inform their findings and management decisions are only as good as the observers employed to do the work (Evans et al. 2009, De Angelo et al. 2010, Liebenberg et al. 2010). Numerous studies have and continue to employ observers without the prerequisite tracking skills to record accurate data (Anderson 2001; Karanth et al. 2003; Evans et al. 2009). Conservation efforts built upon poor data are often counterproductive and misleading (Anderson 2001; Galloway et al. 2006; Nerbonne Nelson 2008; De Angelo et al. 2010, Mwampamba et al. Unpublished manuscript). 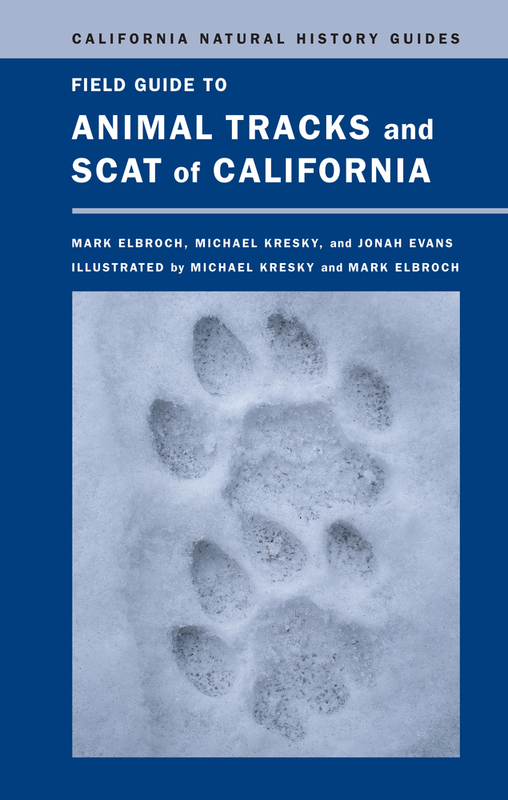 We hope this book will contribute to the training of California's conservationists. The paramount skill of the tracker, and indeed any field scientist, is humility. Know your limits. You will always find sign you will be unable to interpret-become comfortable with saying "I don't know." Regardless of your increasing experience, you will continue to make mistakes. Take comfort in the fact that the top trackers in the world make mistakes with regularity (Stander et al. 1997, Liebenberg et al. 2010)-the best trackers in the world are also the first to admit that they made a mistake, and to correct themselves. Also recognize the limits inherent in the interpretation of tracks and signs. Tracking is the interpretation of indirect signs, meaning that we are attempting to recreate what an animal did in the field without ever having seen it. Scientists who employ trackers must be aware of these inherent limitations and those trackers who work for others must communicate their limitations coherently. It is detective work, and sometimes we are wrong. That's right, wrong, and its no big deal unless we cling to our first interpretation rather than are willing to adapt as new information presents itself. We can only make the best guess with the evidence at hand, and if new evidence points in a new direction, we should throw out our old ideas and make new, better informed ones. Learn not to be attached to your conclusions. That said, the possibilities in utilizing wildlife tracking skills in the field, and as part of conservation efforts, are limited only by our imagination. Because so few have employed wildlife trackers, or any but the most rudimentary wildlife tracking skills in research and conservation efforts, the potential work ahead of us is both tremendous and exciting (Mwampamba et al., Unpublished manuscript). May tracking and trackers be more greatly appreciated because of this work. Tracking is both science and storytelling, and the competent tracker is a practitioner of both. The scientific method involves testing and substantiating hypotheses created in the field, meaning finding and reporting real evidence to support one's claims (i.e., the shape of toes as evidence of a fisher, the known sounds of a bird as evidence the fox was moving nearby). Storytelling is the interpretation of the scientific evidence with your logical mind and imagination-it is the reporting phase of science. Storytelling is also a means by which trackers share their findings in the field with a larger community, whether that be family, friends, researchers, conservation managers, etc. Articulating evidence is an essential skill of the tracker. Thus science and storytelling work hand in hand. One cannot be an effective tracker without practicing both skills. Storytelling also allows others to "listen" to what we are finding, so that they may provide us essential feedback that will improve and refine our skills. Trackers receive constant feedback on their skills from wildlife-they either find animals or they don't-but people provide us something more. We are social creatures sharing an increasingly crowded world. Conservation requires teamwork; unified is the only way we will conserve diversity on a global scale. Tracking skills are real and amazing. Yet they do not come easily, and require ample time in the field. Consider this example: Stander (1997) and colleagues observed a zebra dying of anthrax (blood sampling confirmed the cause), and over the next several days a lion pride, hyenas and vultures feeding and disassembling the carcass. They brought a team of 4 Ju/'Huan trackers (Bushman people in Namibia) to the area three days after the zebra had died and asked them to reconstruct what had happened. The trackers investigated the area for two hours before coming to an agreement as to what had occurred. Then they correctly pointed out the spoor of the zebra, and said that the animal was sick and had died from that sickness. They correctly identified all the scavengers and the order in which they fed. They also correctly estimated the relative age of events, including the death of the zebra. You too can achieve this level of tracking, given persistence and practice. We hope this book provides some of the necessary building blocks and so shortens your journey. Now follow Gary Snyder's (1995) advice found at the very start of this chapter, and "go out and explore California!" Spotting an animal’s fresh footprints in the wild can conjure a world for the hiker: Why did the deer tracks disappear? Where did the cougar turn off the trail? What does it mean when two sets of footprints seem to coincide? This beautifully illustrated field guide, the first devoted to the tracks and signs of California animals—including birds, mammals, reptiles, amphibians, and invertebrates like spiders and beetles—blends meticulous science with field experience to provide an engaging companion for both armchair exploration and easy field identification. Filled with useful tools for the wildlife expert, and essential background and visual aids for the novice, including in-depth information about the ecology of each species, this book goes beyond basic recognition of types to interpret what animals leave behind as a way of “seeing” how they move through the world. Mark Elbroch is a wildlife biologist and the author of numerous field guides including Mammal Tracks and Signs: A Guide to North American Species (winner of the National Outdoors Book Award), Peterson’s Field Guide to Animal Tracks, and Peterson’s Reference Guide to the Behavior of North American Mammals. Michael Kresky is the founder and president of Effigy Art, a fine arts company in Santa Barbara. Jonah Evans is Research Biologist at Texas Parks and Wildlife.